We'd like to stay in touch. 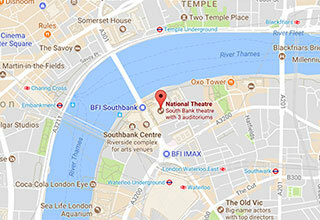 Tell us how you would like to receive updates from the National Theatre. By signing up to email, you’ll receive a regular newsletter and occasional special interest emails. You can change your preferences by logging into your account at any time. Please note: your password must be at least 7 characters long and include a mix of numbers and letters. including upcoming productions, events and broadcasts. including special appeals, events and other ways I can help. By selecting this option, you are giving us permission to send you information that we think will be of interest to you. If you would like to explore how to support the National Theatre by making a donation or becoming a member, please visit the Support Us pages on our website.